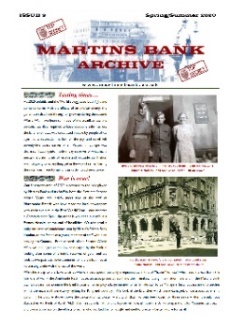 WELCOME to Martins Bank Archive, and to MARTINS BANK MAGAZINE – our news feature in honour of the Bank’s staff publication, which from 1946 to 1969 brought news of changing times, new Branches and services and even new technologies to Staff in England Wales, the Channel Islands and the Isle of Man. 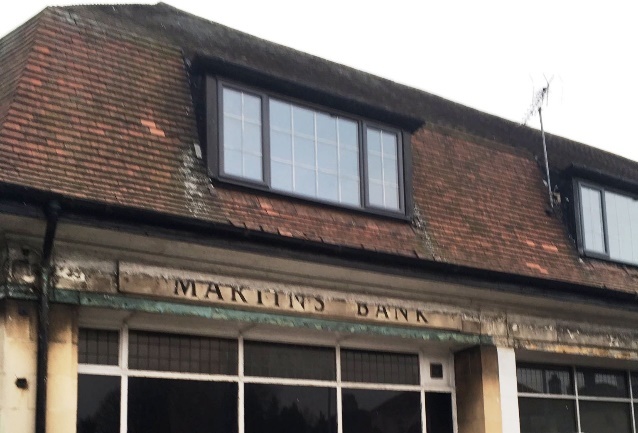 From Drive-In Branches to computerisation and the birth of the Cash Dispenser, it seems Martins Bank has it all. 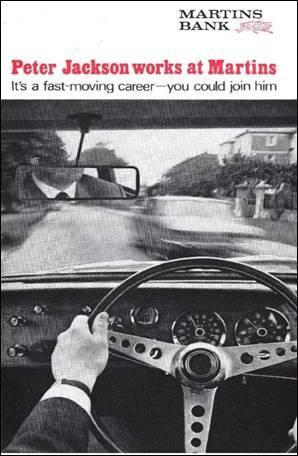 On 1 November 1968 Martins Bank Limited becomes one of the Barclays Group of Companies – a status maintained until close of Business on Friday 12 December 1969. The following Monday, 730 branches of the bank will open their doors under the name of Barclays. As we find ourselves in times tinged with the sadness of the closure of hundreds of Bank Branches, including those that are former Martins Bank Branches, we really do appreciate the continued support of our ever increasing band of loyal visitors and contributors. There are now fewer than 100 Branches of Martins Bank still open, and to mark their passing, our Branch Watch feature now includes a separate page featuring details of THE LAST 101 BRANCHES . Our most recent news stories are shown below, and you can catch up with some previous stories in-depth, by downloading our half-yearly Newsletters (see above). 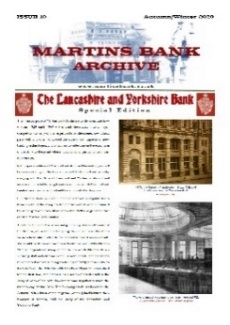 Don’t forget to visit our sister site - Lewis’s Bank Archive - which tells the story of Britain’s department store bank for the nine years that it was a subsidiary of Martins Bank. Click HERE to visit the Lewis’s Bank Archive web site (opens in a new window). Fifty years on, “the eagle and the grasshopper, a fable” has been re-written as an invitation to ALL former Martins Staff to attend one of two special lunches which are being held later this year in Liverpool and London. This is a chance to meet with former colleagues and reflect on the major changes of the last half century, and places are going fast. The London lunch takes place on 12 December, and the Liverpool lunch on 16 December, 2019. To find out more, please click on either of these “eagle and grasshopper” posters, and to register your interest, contact Dave Baldwin, Secretary Grasshopper Pensioners’ Club: grasshoppers@btinternet.com Invitations to these events are being co-ordinated by the Grasshopper Pensioners’ Club, and the lunches themselves are open to ALL former staff of Martins Bank, whether or not they may be members of one of the many Barclays/Martins pensioner groups around the country. On the 18 May 1954 Liverpool’s Cotton Exchange, which had been closed since 1941 was once more open for business. 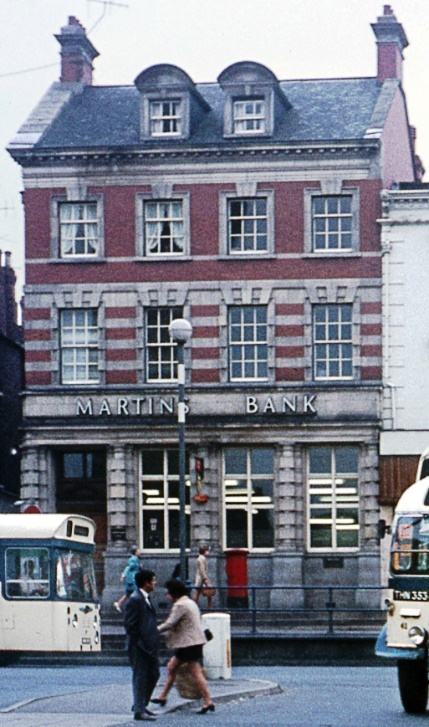 Martins Bank deemed it a prudent move to establish within the Exchange Buildings, a sub Branch of the bank despite the whole thing being just a stone’s throw from Liverpool City Office Branch at 4 Water Street. These advertisements, which have been remastered from the original appeared in the local press announcing first that the new sub Branch was on its way, and then that it was up and running. 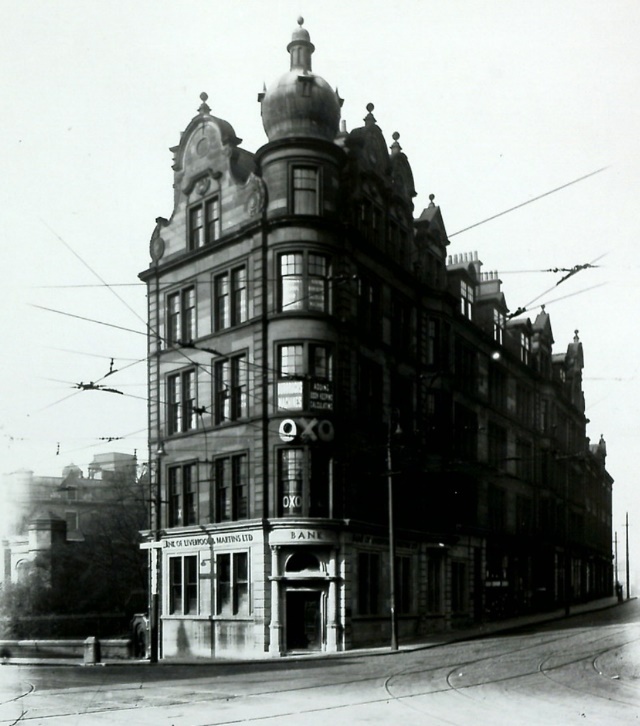 The Cotton Exchange itself had remained closed from 1946 following the establishment by the Government of the the Raw Cotton Commission which largely favoured imported cotton. 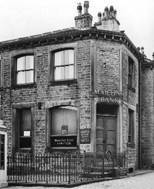 Martins Bank had previously operated a branch in the same part of the City – Liverpool Exchange Branch was opened in 1890 by the Bank of Liverpool, and remained in service until 1932. The rush to support the cotton industry was however not enough, as the business of the Exchange more or less folded in February 1963, and its original shares were sold off. Ironically, 1963 was designated “National Productivity Year” by the Government, but this all came too late for once mighty Cotton Exchange. 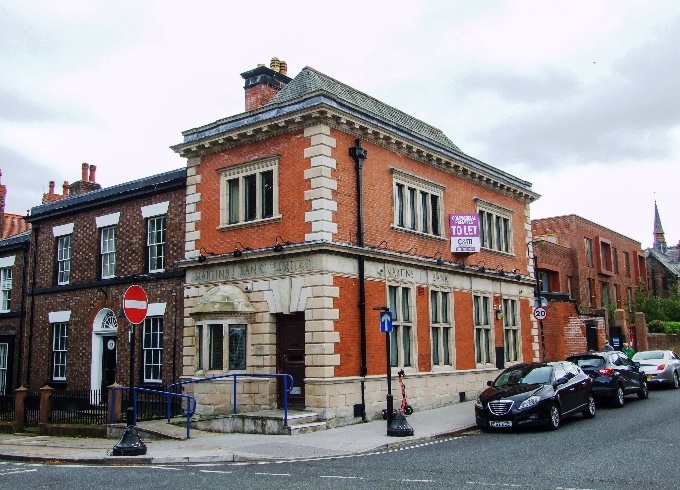 Incidentally, Liverpool Cotton Exchange Branch is the 999th branch building to have been added to our Branch Network pages. (That is the total number of buildings so far identified as have been used between 1928 and 1969 as Branches or sub Branches of Martins Bank Limited). It is now April 1969, and there has been a short respite in the issue of the pink circulars, between February and the issue of the circular shown here, which is issued on 23 April 1969. More in depth Loans/Securities type stuff we’re afraid, and this time it is being pointed out to the Securities/Lending staff of Martins Bank, that Barclays operates a DIFFERENT system for performing searches at Companies House. If the Martins policy of searching at regular intervals (including sometimes whether or not a customer is borrowing or wanting further funds) was continued today, it would probably have a detrimental effect on that company or individual’s credit rating. Today this sort of work and decision making has long since left bank branches. It is not often that we can date a photograph to the exact year, let alone the month and the day too. We were delighted to receive this wonderful atmospheric image of the Bank’s Ellesmere Port Station Road Branch from Craig Turner, a regular contributor to the Archive. The photograph shows his father, Peter Turner aged just sixteen, and standing rather nervously at the side of someone we have so far been unable to identify, smiling and counting up the banknotes! A notice for the May Bank Holiday – 29 May 1944 is on the wall behind them, and above Peter’s head is the actual date, the 25th. 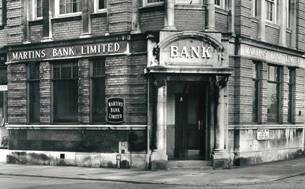 Images of Ellesmere Port’s original Branch of Martins Bank are extremely hard to come by. 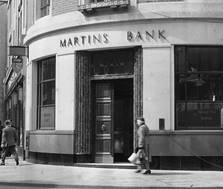 AS former members of staff plan a reunion in Liverpool, here's a chance to see how the famous Martins Bank looked in Water Street more than 60 years ago. 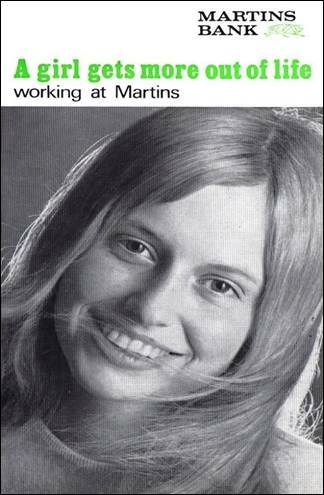 We also feature an ECHO cutting from 10 years later - October 31,1967 – which revealed that Martins in Church Street had become the first bank in the north of England to offer its customers instant money - courtesy of its new “auto cashier" machine. And looking ahead, December 12, 2019 will mark the 50th anniversary of the merger of Martins and Barclays Banks. Martins was the only major clearing bank to have its head office outside London, and was based at 4 Water Street in Liverpool. The Grasshopper Pensioners’ Club (a social organisation, supported by Barclays, for the benefit of those who worked for Martins) is in the process of planning two or three events next December - one in London, a second in its "spiritual home” of Liverpool and a third elsewhere in the north of England, its “true heartland” subject to demand. In a message to his former colleagues, secretary David Baldwin said: “If you are reading this note and worked for Martins Bank, perhaps you will recall anticipating working for a different bank on the following Monday and were probably wondering what the future would hold for you. You may also have wondered why on earth the (Barclays) Eagle had swooped on our beloved Martins. We were thrilled to obtain a copy of this fabulous photograph from our good friends at Barclays Group Archives. It shows three members of the staff at Martins Bank’s Liverpool Computer Centre, Derby House, performing various tasks with the mighty Ferranti Pegasus II computer, still in service after nearly ten years of processing the accounts of the Bank’s Liverpool customers. The wonderful Pegasus has nothing that we might recognise from today’s computers, but it certainly does have an air of 1950s sci-fi about it! The nearest to a screen is the pair of oscilloscopes. The long and winding paper tape on the left is used both for programming and input. The only thing that looks familiar is the printer on the right. There is a small mystery here – neither we nor Barclays know the names of the girls in the photo. Perhaps one of them is YOU, or perhaps you know who one or more of them are. If you can help, please do get in touch at the usual address gutinfo@btinternet.com. You can see more of Pegasus and learn about how Martins adapted it to handle the daily work of forty branches by visiting our NEW TECHNOLOGY feature. There, you will find pages for LIVERPOOL COMPUTER CENTRE and for the PEGASUS II COMPUTER. 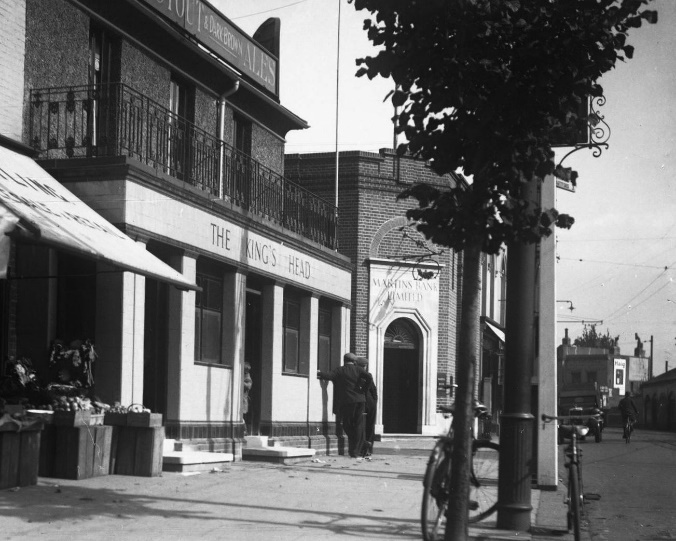 At Martins Bank Archive, we have been working for more than a decade on our Martins Staff Database, which we believe to be the only digitised archive of the staff who worked for the bank. With around half a million entries, it is now a comprehensive record for the period 1946-1969, and the number of earlier records dating back to the late 1800s is now also substantial. The vast majority of the Staff members included are sadly no longer with us, and for those who are we have made special mention on our DATA PROTECTION page, in line with new rules which came into force on 25 May 2018. All of the information held has already been in the public domain for a minimum of 50 years. Nearly all of it was published and distributed in paper form to Martins Bank’s Staff in “Martins Bank Magazine”. Our database brings together for the first time, information which allows us to produce career details for those researching their family tree, or those who want to remember their career with the Bank. Information falls into several categories – New Entrant, Transferred, Appointed, Married, Retired, Died. We are now in the process of adding further previously published details including public service along with any titles thus conferred, and details of training courses undertaken and Banking or other relevant examinations taken and passed. If you would like to know what details we have for you or a relative who once worked for the Bank, then please do get in touch with us at the usual address gutinfo@btinternet.com. We are always looking for head and shoulders photographs of staff as they were when they worked for the Bank. Martins tended to publish mainly photographs of the MALE staff, and we would like to redress the balance by being able to add images of female staff members to the staff galleries which are shown at the bottom of nearly all of our Branch Pages here within our Online Archive. Also - if you are the relative of a member of staff who is no longer with us, and you would like to send us a photo to be placed on each relevant Branch or Departmental page of our web site, then please do get in touch with us at the usual address gutinfo@btinternet.com. It was the Staff that made Martins Bank so special and fondly remembered, and the more faces we can add, the stronger the collective memory will become. Pictured here is Sally Edge, Cambridge Branch, 1967. We have left the following article here once again for reference, to help explain the position regarding the theft of copyrighted images for the purposes of re-sale. There is a common misconception that if you can Google an image, then it is “in the public domain” and you can do what you want with it. Even some staff at eBay® believed this until they were recently put right – if you take or copy someone else’s work or property without their permission or acknowledgement, and sell it on to make even a penny out of it, this is breach of copyright, and the real owner can take legal recourse to stop further theft and misuse of their property. 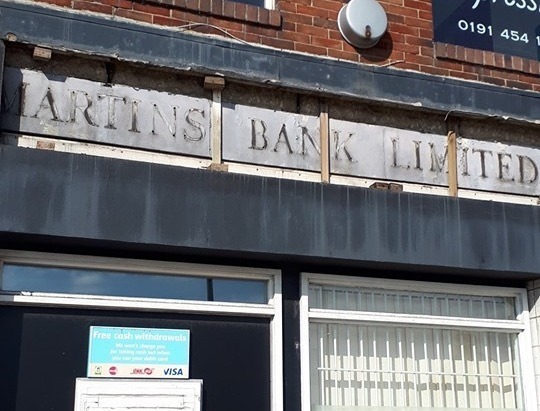 There are currently on eBay® a number of listings of photographs for sale, showing scenes from the past and old buildings including these four (and many more) Branches of Martins Bank. These images originated on our web site. As you can see, under our agreement with the owner, we prominently display copyright. These images have been copied and printed onto cheap photographic paper. The seller even has the gall to add their own watermark to the displayed images to prevent others from stealing them!!! As well as being against copyright law, these items are worthless, having little more than sentimental value – you will often find that collections and archives will make images available free of charge for private use, but you MUST check with them first. You should always check the seller’s right to copy the image – reputable sites such as eBay® do now allow you to report copyright infringement. For ANY item of memorabilia, the best thing to do is shop around and compare prices – in the case of Martins Bank there are often up to twenty different items for sale on eBay® alone on any given day. For printed material which looks as if it has been copied, or actually claims to be a copy, ALWAYS question the seller about copyright. AND SUPPORT OF BARCLAYS GROUP ARCHIVES IN THE BUILDING AND SHAPING OF THIS ONLINE SOCIAL HISTORY.